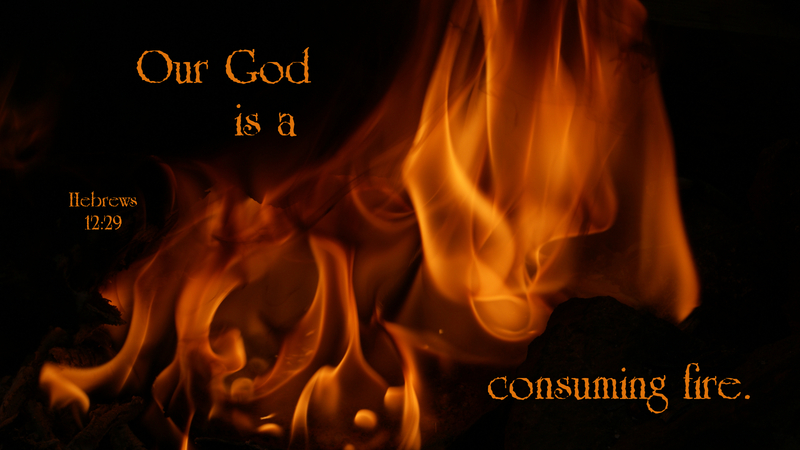 Moses speaks to us of God as a “devouring fire, a jealous God” (Deut 4:24). The author of Hebrews, similarly, is in awe of the kingdom we people of faith are to receive, a kingdom that can never be shaken, one that will remain forever. This is the God before whom we tremble, his power and glory so far beyond our experience and imagination that we would wilt and die should a mere spark from the jealous God’s fire touch our body. Yet, from this “devouring fire” of a God, how awe-filled is his grace, which he so freely bestows upon us: grace that allows us to approach him through his Son to dare to ask that he incline his ear to us, to listen to our prayers—grace that allows us to freely worship him in reverence and awe, and even grants us the entrance rights to his kingdom. Who can comprehend such a gift as this kingdom from the One whose voice “shook the earth”? Who can fathom this God, stooping to bear the simple burdens of us mere mortals on this earth? Who can reason with such simple minds as ours, that his Son would come for us—that he would enter into our lives as he did in raising up a specific woman to become the wife of Isaac? All glory and honor be to him. Today’s devotion was written by Joel Smeby, Pastor of Joy Lutheran Church, Winnipeg, Manitoba, Canada.